Assistance with applying for SSI benefits is provided to clients of the Kern Regional Center free of charge. 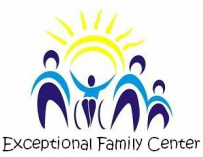 In order for a client and his or her family to be provided with this service, the client and/or his or her family must first be referred to our office by an employee of the Kern Regional Center. Supplemental Security Income, or SSI, is a program of the federal government that makes payments to people with low income who are age 65 or older, blind, or have a disability. For the purposes of SSI, "income" is defined as money received such as wages, Social Security benefits, and pensions. Income also includes things such as food and shelter. If the individual applying for SSI is married, a portion of his or her spouse's income and resources is considered. If the individual applying for SSI is younger than 18, a portion of his or her parent's income is considered. If the individual applying for SSI is disabled but works, Social Security will not count wages he or she uses to pay for items or services that help him or her work. For the purposes of SSI, "resources" is defined as things that are owned by the individual applying for such benefits. Resources that count when applying for SSI include real estate, bank accounts, cash, stocks, and bonds. An individual may be able to receive SSI if his or her resources are worth no more than $2,000.00. A couple may be able to receive SSI if their resources are worth no more than $3,000.00.